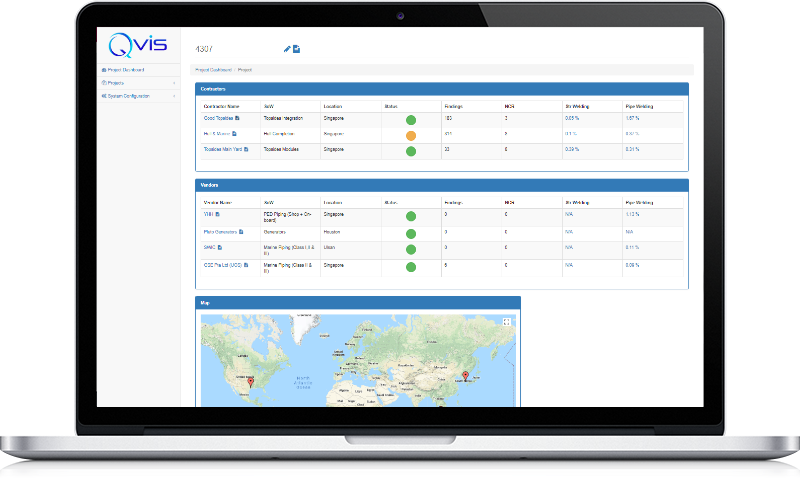 Qvis is a secure, responsive cloud application designed to plan and manage the life cycle of the Surveillance Inspection process. We at Verum Solutions Ltd believe that by identifying QC ‘leading indicators’ that are associated with all fabrication and construction processes, you can look to the future and identify where things are likely to go wrong if action is not taken. The concept of Leading Indicators has been used with great success in the field of HSE to reduce the frequency of health and safety related incidents. However the same cannot be said of QA/QC particularly in the fabrication of packaged equipment or the construction of processing plant. The principle of measuring the effect of management actions on the efficiency of QC activities has gone unnoticed. Project managers often accept the cost of correcting equipment arriving onsite that doesn’t meet the specification requirements, or correcting construction issues during commissioning as a fact of life. However, for both HSE and Quality Assurance, the principles of leveraging the power of Leading Indicators remain the same. Plan, Measure and Report the data from QC surveillance inspections and don’t depend on the pass/fail observation of an ITP HOLD point. 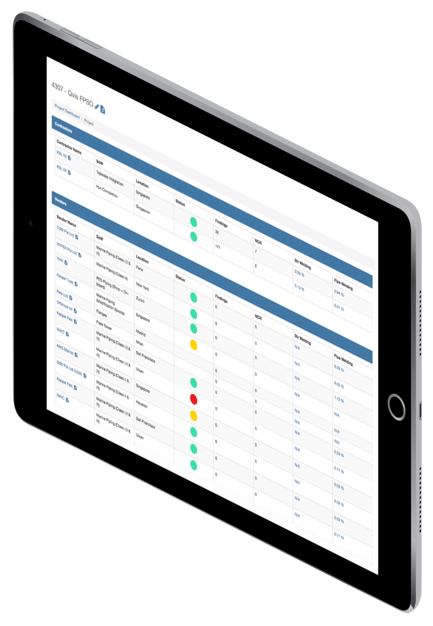 With Qvis, you can communicate to your inspectors what you want them to do and know immediately what they have found when the inspection has been completed. The tangible data allows you to focus your inspectors on the surveillance inspections that are the most critical, whilst managing your inspection budget with accurate financial forecasting. Book your tailored demonstration and let us show you how we can transform your QA processes.